Our Eat Drink Play contributors reveal their favourite BYO restaurants. What makes a restaurant great? It’s character, certainly. A cracker food offering, absolutely. A BYO licence? Now that offers a certain allure very few can resist. The beauty is, it doesn’t matter if you’re blowing the dust of a special vintage or grabbing a cleanskin off the shelf of the closest bottle shop. BYO accommodates budgets both big and small. We asked the people who eat, drink and play the most – our Eat Drink Play contributors – to reveal their favourite BYO restaurants. “Changes and modifications are politely declined unless it’s a matter of life and death”. This is what you’ll find on Vacanza Pizzeria’s website and it kind of sums them up to a tee. 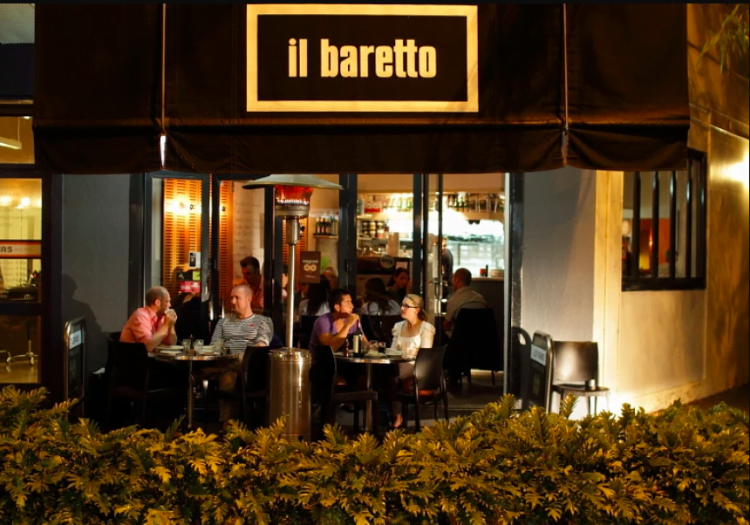 This authentic Italian restaurant is buzzing every night of the week, often with queues out the door. Their menu is simple with focaccia, antipasti, a buffalo mozzarella bar and salad. The main attraction is the pizza though. As for the wine list, it may be short, but who really cares when they offer BYO? Corkage is $8pp. What could be better than sitting out in the open air, glass of your favourite wine in hand, and enjoying the sights, sounds and smells from the buzzing courtyard that is 248 Palmer Street? 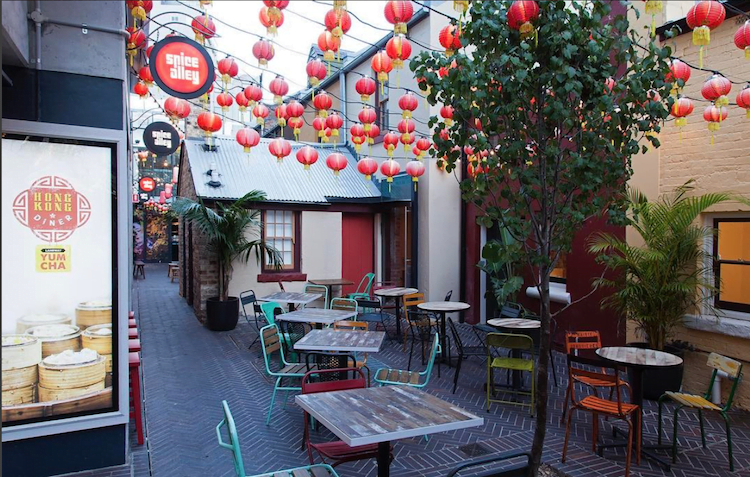 In this courtyard, nestled amongst Lucio’s Pizzeria, Kindness Café and Rosan Japanese Cuisine, sits Phamish Vietnamese Café. You won’t find any pho here, but they more than make up for it, with many tasty options of stir-fries, curries, noodle and rice dishes. Corkage is $1pp. Phamish Vietnamese Cafe, 248 Palmer Street, Darlinghurst, Sydney, NSW, 9357 2688, Open: Tues – Wed, Sat : 6-9:30pm, Thurs- Fri: 12-2pm, 6-9:30pm, Sun: 5:30pm – 9:30pm. Closed Mon. Tucked away in suburban Redfern lingers Kepos Street Kitchen, a Middle Eastern café with a hint of Mediterranean spice. Serving up its renowned fusion food from breakfast until dinner, the refurbished corner store is a favourite for those from near and far. If choosing a drink for the evening sounds a bit overwhelming, then never fear! This open kitchen gives you the chance pop open your own bottle of wine for the price of $8 per person. Not much has changed since I first entered the great red entrance door of Blue Ginger seven years ago. The interior, the menu and the vibe remain the same and thank god for that! 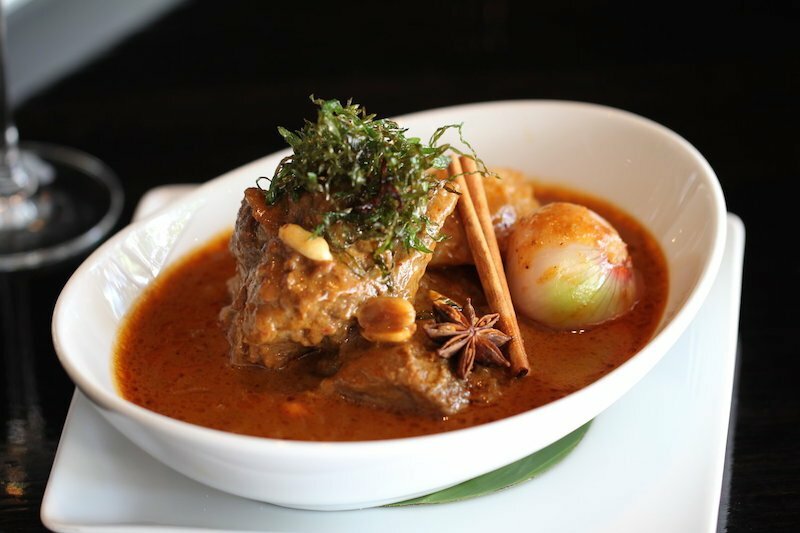 Each meal at this South East Asian restaurant is enticingly sultry in flavour. Now, despite the impressive wine list at Blue Ginger, they understand the wino’s plight. For a $4 corkage fee, you can BYO (wine only) as the perfect sidekick to your south east Asian tastebud tour. 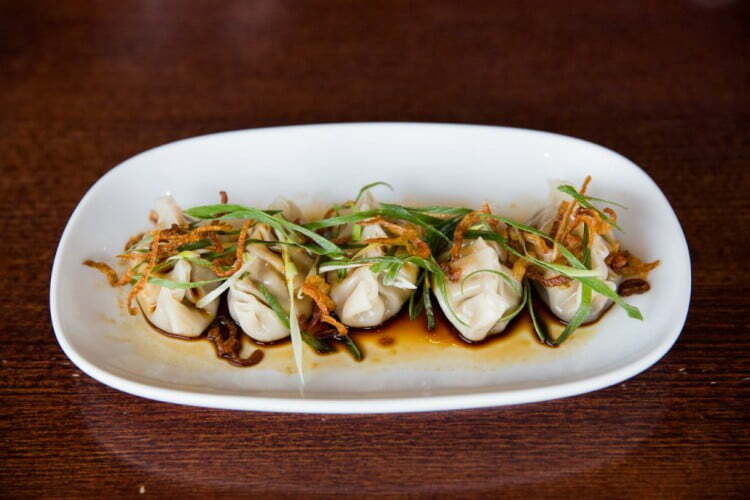 Blue Ginger, 241 Darling St, Balmain, 02 9818 4662, Open: Tues- Sun 6pm- 11pm. Maybe it’s the menu written on butchers paper. Or the tight interior. Or even the dog-friendly pub across the road. Whatever the reason, I love this place. Situated on the corner of Bourke Street, this Surry Hills darling epitomises the unpretentious Italian dining experience. I can’t lie though, a big part of the attraction does lie in its BYO licence with a $3 corkage fee. Hello pasta and shiraz date night. Il Baretto, 496 Bourke St, Surry Hills, Sydney 2010, (02) 9361 6163, Open: Tues- Sun for lunch 12pm- 3pm, and dinner 6pm- 10pm. I stand by my theory that some of the best places are hidden behind unassuming garage doors. Enter Two Chaps in Marrickville. Housed inside an industrial style garage, by day this joint offers artisan breads, house roasted coffee, locally sourced organic produce which is served straight from the kitchen to your table. Now for the twist… Every Thursday, Friday and Saturday night Two Chaps keeps its doors open until 10pm to host a legendary homemade pasta and vegetarian dinner. You can order the set menu for $55pp with free corkage or dine a la carte with corkage at $4 per person. Two Chaps, 122 Chapel Street, Marrickville, Open: Tues: 7–3, Wed: 7–3, Thurs: 7–3 & 6–10, Fri: 7–3 & 6–10, Sat: 8–3 & 6-10, Sun: 8–3. My friends and I recently went for a BYO dinner at Time for Thai in Newtown. Though met with a waiting list on the door, it was definitely worth hanging around for. This restaurant is a buzzing little hot spot, attracting foodies from all around Sydney. Even though it’s an intimate space and you’ll be sitting fairly close to the next table, the food makes up for it. Corkage is gentle on your wallet, and the portions are more than generous. They also have venues in both Kingsford and Haymarket, please check their website for location and opening hours. Rossopomodoro in Balmain has to be my top pick for a great BYO restaurant. 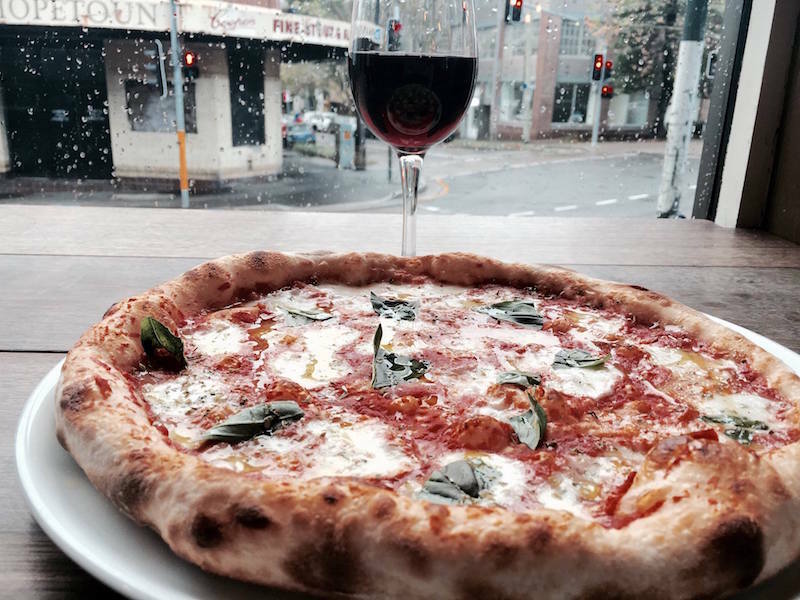 Rosso’s, as the regulars like to call it, is a bit of a pizza institution in Sydney. 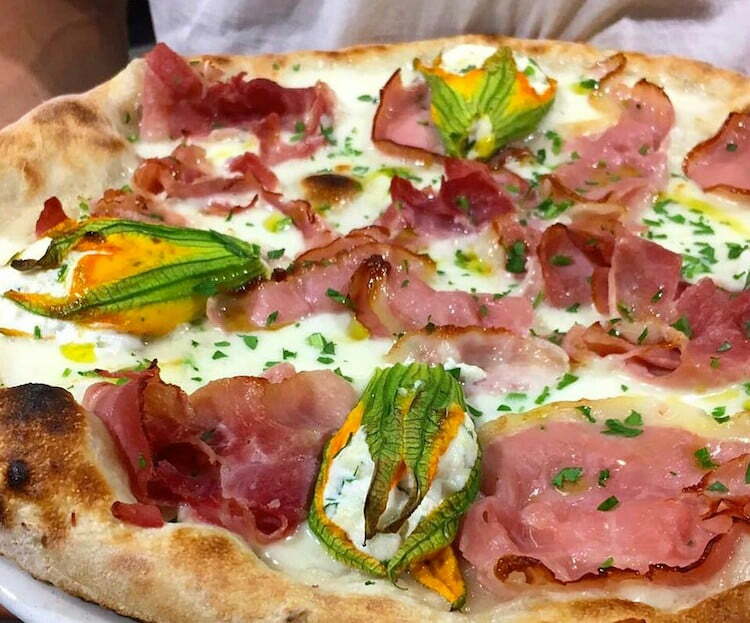 Hailing a recipe from Bolonga, Italy and bringing it to Sydney, the pizzas are authentic woodfired crowd-pleasers. But what makes this place even better is that you can BYO wine. Want to know the best part? There’s no corkage fee! My favourite BYO restaurant in Sydney isn’t just a restaurant; it’s a whole alley! Spice Alley in Kensington Street to be exact. With a multitude of flavours to indulge in, it’s the perfect place to grab a couple of dishes and a bottle of wine to crack open with friends. From Vietnamese to Malaysian and Thai, my few favourite picks are the succulent BBQ Pork Buns from Hong Kong Diner, and the spicy satay chicken skewers from Alex Lee Kitchen. With no corkage fee, you’ll have a little left over to indulge in some dessert, which calls for some of the delicacies at KOI dessert bar just down the road. Pro tip: The Handpicked Wine cellar door is just down the road. Pop in for a tasting before dinner and grab a bottle to go! Walk past the Sultan’s Table at any time of the day and there will be a bustling crowd of people enjoying a platter of dips, or tucking into fresh falafel. The restaurant looks like an ordinary Turkish kebab shop from the front but walk around the back and you will discover a large area for big groups. It is the sort of place you go to please a big crowd on a tight budget. With no corkage costs, the wine can freely flow but be sure to make a reservation if you are planning to visit on the weekend. After your meal don’t miss out on the world’s best gelato right next door at Cow and Moon. The Sultan’s Table, 179 Enmore Rd, Enmore NSW 2042, (02) 9557 0229, Mon- Sun Open 11am to late. Don’t be deceived by the humble exterior of this little corner shop. There’s a reason crowds are waiting on crates outside for a table at this Egyptian eatery. Takeaway is available, and the pockets are the perfect on-the-go meal. The cauliflower pocket with tahini and dukkah ($13) is a favourite of mine. But really it’s worth the short wait for a table. Grab a bottle of wine from a nearby bottle shop, because when BYO is FREE, it really would be rude not to? Before you settle in, don’t forget there’s no table service here – order up at the counter. If your feeling hungry, order the mixed meat plate ($24), for both a colourful and damn delicious feed. Now you can sit back and enjoy the prime people watching spot on Enmore Road. I guarantee you’ll leave very satisfied and will be back at Cairo soon. Cairo Takeaway, 81 Enmore Road, Enmore NSW, 9517 2060, Mon- Fri 12pm- late, Sat & Sun 11am-late. These BYO restaurant’s didn’t quite make it onto our contributor’s guide, but are nonetheless certainly worthy of inclusion. Those in the know will tell you, ‘look for the vines!’. Chinese Noodle Restaurant situated in the heart of hungry-student land in Haymarket is renowned for its eclectic interior, and not to mention their handmade dumplings, stir fries, noodle dishes – all of which are hand made to order. What might be lacking in customer service is completely made up for in the delicious menu, teamed with the option of BYO and no corkage fee. You’ve probably seen the long line snaking outside the Haymarket eatery. It comes with good reason, with Mamak dishing up mouth watering and affordable authentic Malaysian cuisine. 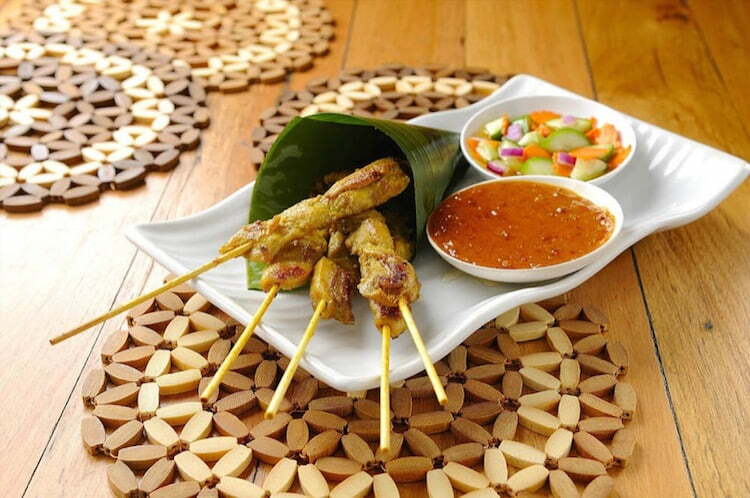 On the menu you’ll find everything from roti to aromatic curries, satay and stir-fried noodles. The cherry on the metaphorical cake is the fact you can BYO, with no corkage fee. Mamak, 15 Goulburn Street, Haymarket, Sydney, (02) 9211 1668, Open: Mon- Fri lunch 11:30am- 2:30pm, Sat& Sun dinner 5:30pm- 10pm & supper until 2am. You can also find Mamak in Chatswood. Fatima’s Lebanese Restaurant goes back to delicious basics, with hummus (arguably some of the best in Sydney), kafta, lady fingers, cabbage rolls, vine leaves and more. Make sure you come hungry, as dishes are generously portioned as well as very affordable. Bring along your favourite bottle, and relish in no corkage fees! 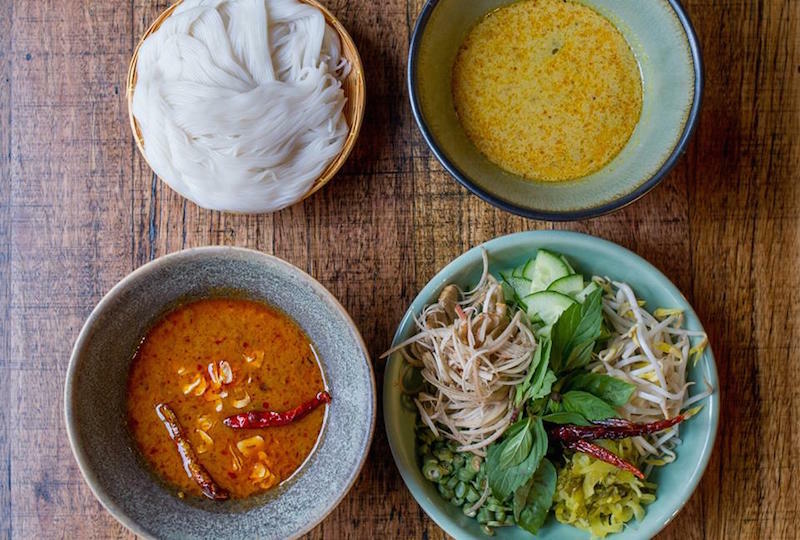 This Surry Hills institution is well known for its spice laden and aromatic Thai menu. With BYO and no corkage fee, team your favourite tipple with crispy pork belly, Massaman curry, Pad Thai…this list goes on. It’s important to keep in mind though that they don’t take reservations, so make sure you plan ahead to avoid waiting too long for a table. Spice I Am, 90 Wentworth Avenue, Surry Hills NSW, Open Tues- Sun lunch 11:30am – 3:30pm & Dinner 5:00pm – 10:00pm. 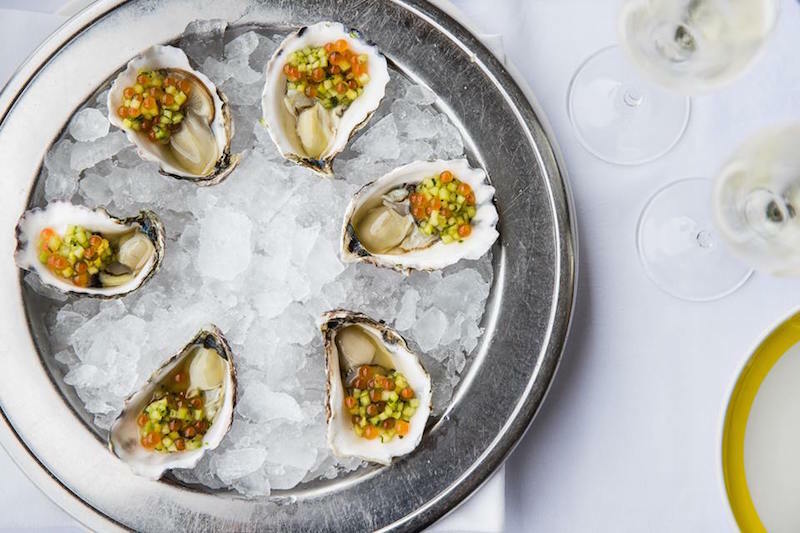 While you might typically associate BYO with cheap and cheerful restaurants, Otto in Woolloomooloo is proving that you can bring your favourite vino along to a fine dining restaurant. Groups of 8 people or more are able to opt for the super luxe BYO group share menu. Served family style in the centre of the table, the menu is $95pp including BYO and service charge. Only wine and champagne allowed. Note: only available until June 2019!